Each year I like to throw in a few DIY's when putting together Christmas gifts for our family. Last year I made lavender corn heating pads. I shared a tutorial here on how to make those if you'd like to check it out. I also like to make sure we gift things that we really love ourselves and use as a family. This past year we've really taken our health and wellness more seriously, and worked towards creating a healthier home. I now make many of my own cleaners and use oil infused products in our home instead of the chemically filled products I was using before. The difference these switches have made for our family and the way we feel is astonishing, and I want that for everyone! 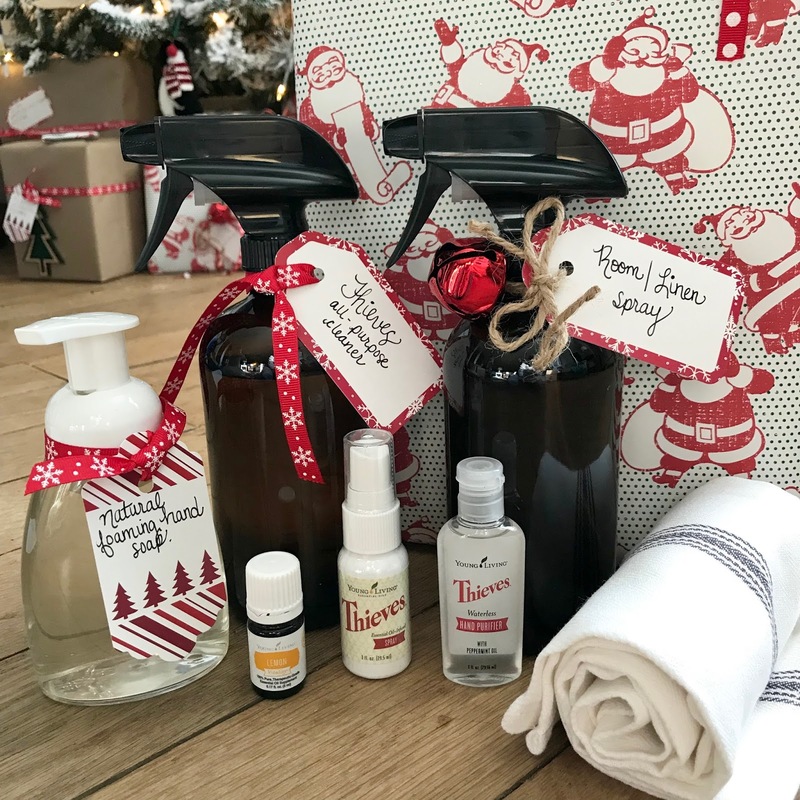 This year our family is getting lots of homemade things like room sprays and hand soap. 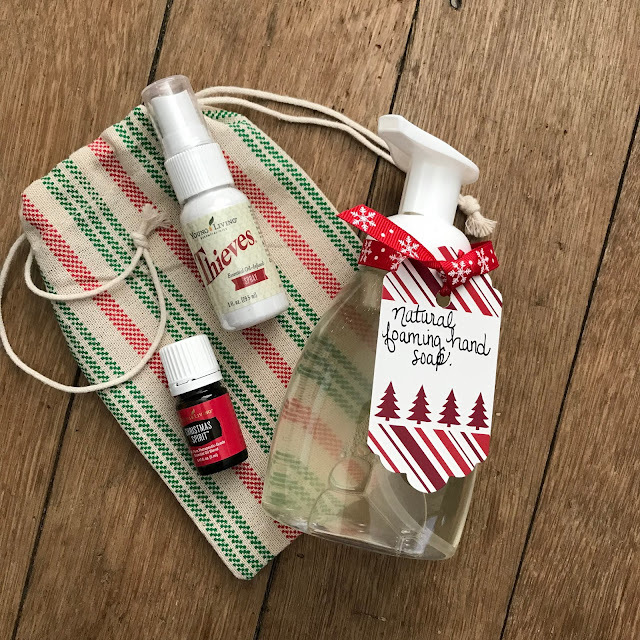 I'm also adding some of our family favorites like Thieves spray and hand purifier. These are products that we use daily and we know they are safe! 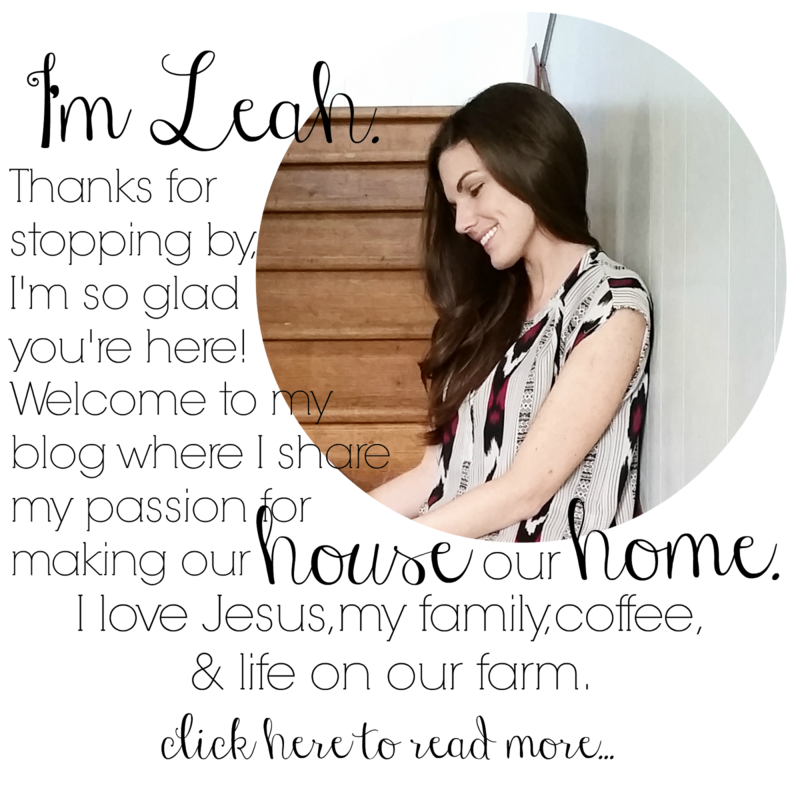 I want to share a few ideas with you on how I'll be grouping the various items together to give as gifts, and also share a couple of recipes with you too. I found these cute drawstring bags in the dollar section at Target. They are the perfect size for holding oils, small lotions, and more. I placed together our satin mint facial scrub, a DIY toner, and rose ointment. 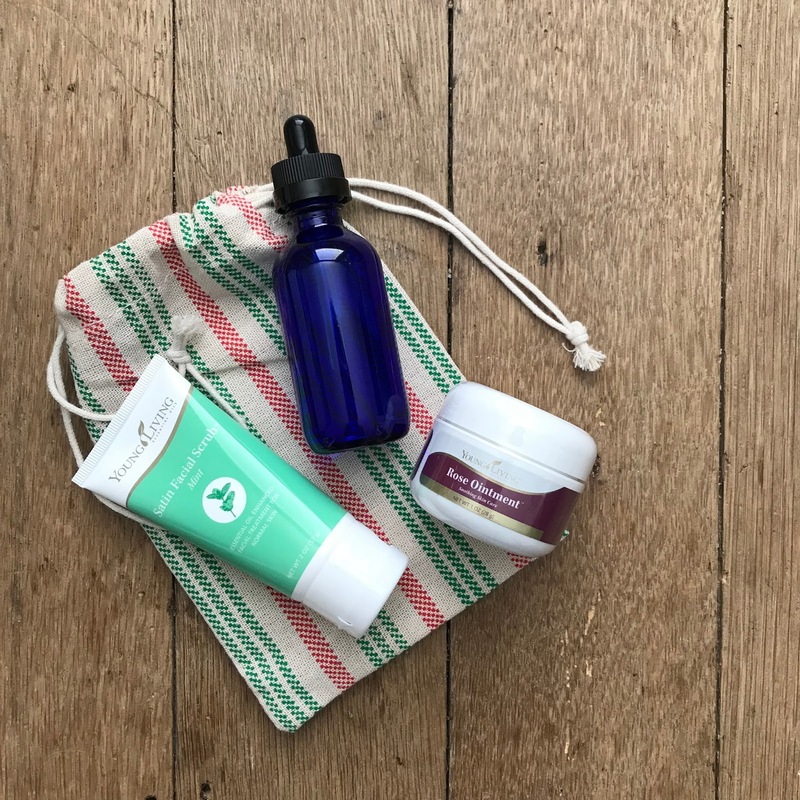 Everyone loves nice skincare products, and these are some of my favorites. Fill the bottle half way full with witch hazel, then add 10-15 drops of oil. I use a combination of Frankincense, which is well known for aiding in healthy skin, and Tea Tree oil. Tea Tree is amazing for my skin type. I tend to have troubled skin from time to time. This can be switched out for an oil that better suits your skin type if need be. 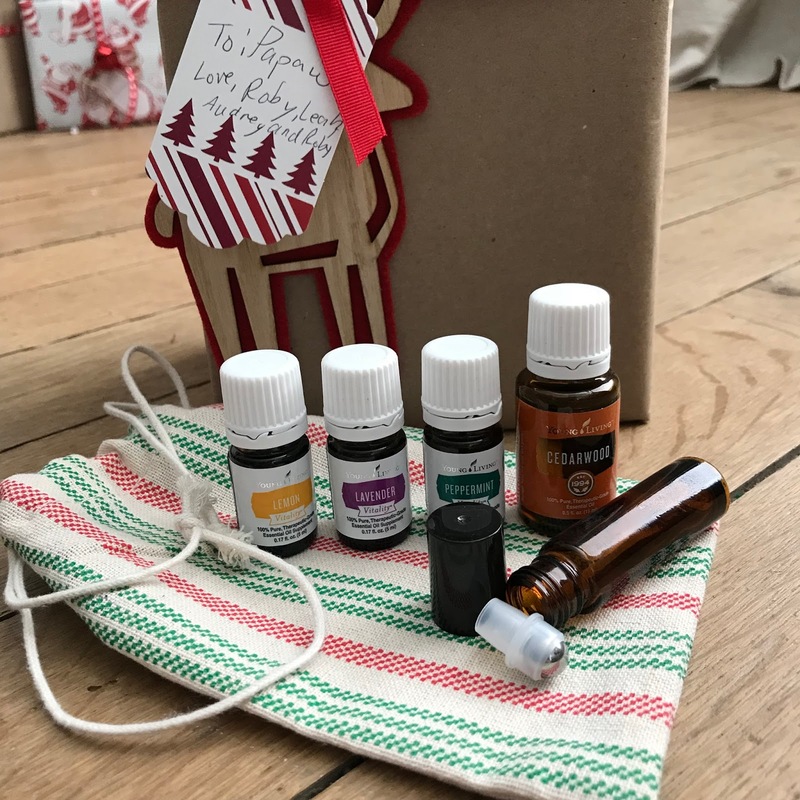 If you're giving this as a gift and are unsure, Frankincense alone is perfect for ALL skin types. Top the bottle off with distilled water and it's good to go! We are also gifting a few diffusers this year. I found a great deal on Amazon and stocked up! Toss in oils like Lemon, Lavender, and Peppermint and you've got the perfect gift. These three oils together are great for support during seasonal changes. The roller bottle is for mixing the 3 oils together to make a blend. 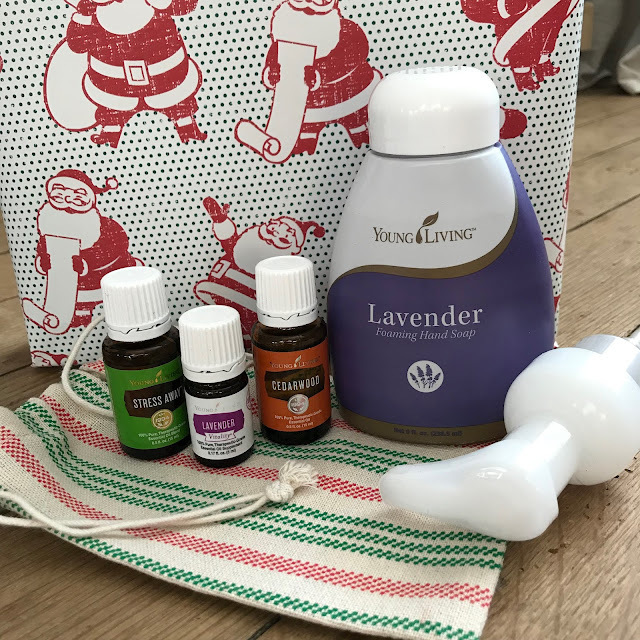 I'm including Cedarwood with this gift too because when paired with Lavender, you've got the best combo for a restful nights sleep. Who doesn't need that in their life? 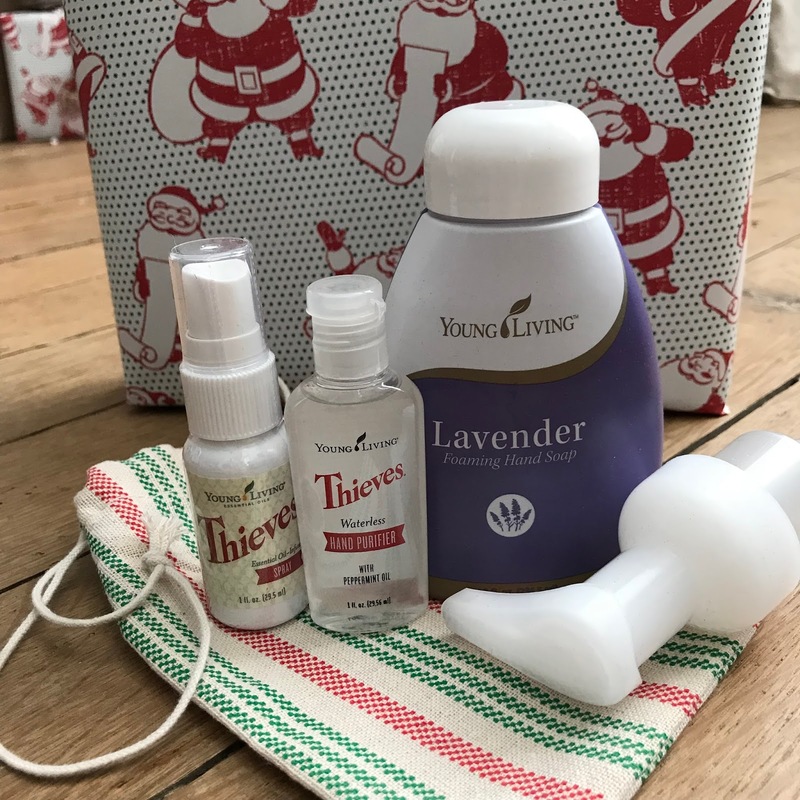 Our kids teachers will be receiving Lavender hand soap, Thieves spray, and Thieves hand purifier. I love the size of the spray and hand purifier. It's perfect to toss in your bag and use on the go. I keep the spray in my purse and use it on shopping carts, and the hand purifier is nice when you don't have access to a sink but need to wash up sans chemicals. You can also make your own foaming hand soap! It's super easy to do and you can add whatever oils you like. 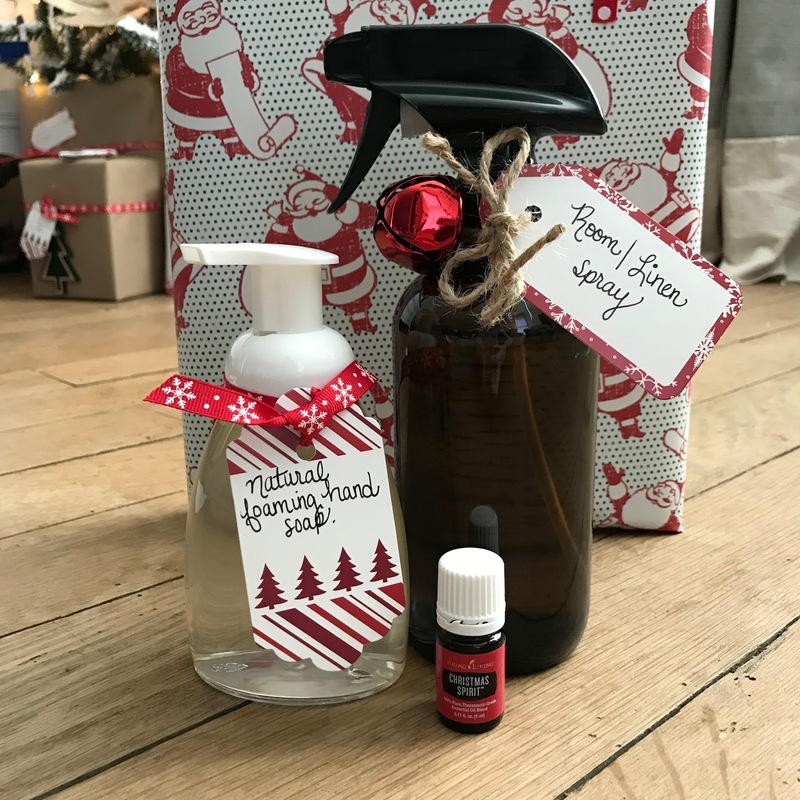 I also love making my own scented room and linen sprays. This one is a combination of Clove, Cinnamon Bark, Tangerine, and Vanilla. Toss in some Christmas Spirit essential oil and add some festive tags and ribbons and you've got a great and healthy gift! Pour 1/3 cup Castile soap in the bottom of the container, add 15 drops of your favorite oils. I used Northern Lights Black Spruce and Citrus fresh. I had this combo in my diffuser recently and my mother in law loved it, so I thought I would make her some soap with these two oils. Finish filling the container with water and shake it up. 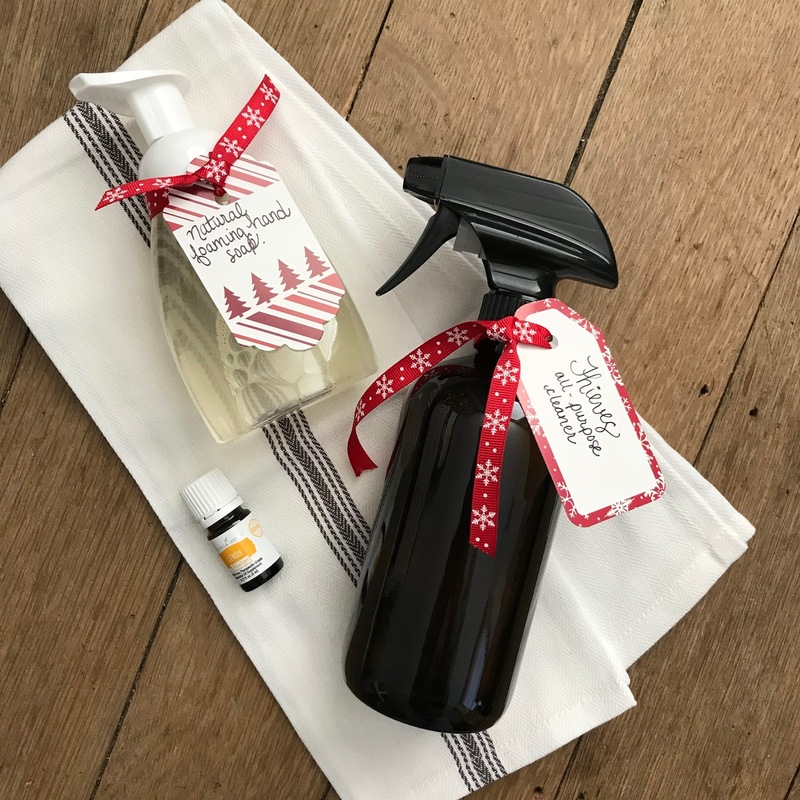 Thieves cleaner is another one of our favorite products to use around the house. It has pretty much replaced all the other cleaners we once used. It's natural, healthy, and cost effective too. I buy a full bottle of the concentrated cleaner from Young Living for $22. It only takes one capful of cleaner plus 16 ounces of water to make a full bottle of all purpose cleaner! I'm including bottles of Lemon too because Lemon is so good for all things cleaning. I had a grease spot on my stainless steel range hood for months. A little Lemon oil on a cloth took it right off. You can also soak your fruits and veggies in water with a couple drops of Lemon and get them super clean! Lemon even takes Sharpie marker marks off of your walls. Good to know, right? I put together the next gift for someone who is in need of the gift of relaxation. Lavender is very relaxing and like I mentioned before, when combined with Cedarwood, you're in for a restful night's sleep. Stress Away is a very relaxing and calming oil as well. I like to wear it as a perfume sometimes or diffuse it when I need to wind down. These gifts can be combined in so many different ways to cater to the recipient. At the end of the day, we can feel at ease that we are gifting our family with items they can truly use, will support their wellness, and help their homes be healthier too! Thanks so much for stopping by! I'll be back soon with a tour of our simplified Christmas decor! Hey Rebecca, I don’t wear a moisturizer daily. I know that’s not ideal, so I’m trying to do better! When I do, I use Young Living’s Genesis lotion. It’s a hand and body lotion but it’s so light and pure that it works well for my face. I’m planning to try the sandalwood moisturizer soon. Both of those are very pure, all natural, and safe.